The Turkmen Front in Kirkuk insist that security responsibilities in the multi-ethnic province should be undertaken by the Iraqi federal government, as controversy broke out afresh over a possible return of Kurdish Peshmarga forces to disputed territories and the formation of a joint operations command. The security dossier in Kirkuk has been a source of contention between the diverse components of the province. While Kurds call for the return of the Peshmarga forces, the Arab and the Turkmen components strongly oppose such a step and stress that the government should send in more troop reinforcements to the area. In the past few weeks, the Iraqi government conducted a series of changes, relocating troops and forming a joint operations command which is still unclear whether it will include all the local forces. 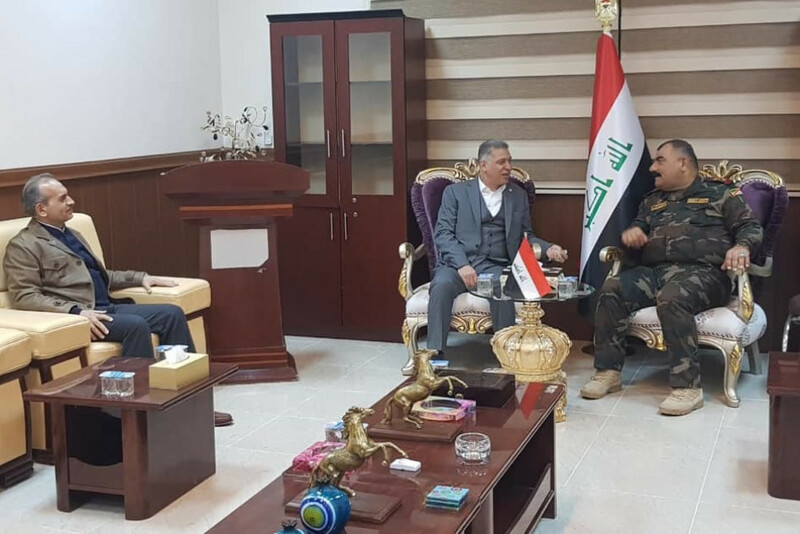 He emphasized that the entire forces serving in the joint operations command including the Popular Mobilization Forces and the Tribal Mobilization Forces are backed by the ministries of interior and defense. Recently, the Kurdistan regional government (KRG)’s ministry of Peshmarga held a series of meetings with Iraqi defense ministry officials to discuss ways to jointly run the disputed territories, enhance coordination and form a special operations command. Peshmerga forces were deployed in much of the disputed territories which are claimed by the Iraqi federal government and the Kurdistan regional government in 2014 with the onslaught of the Islamic State group; however they were forced to withdraw following the October 16, 2017 events when Iraqi security forces launched a military operation to reclaim these areas sparked by a controversial independence referendum.